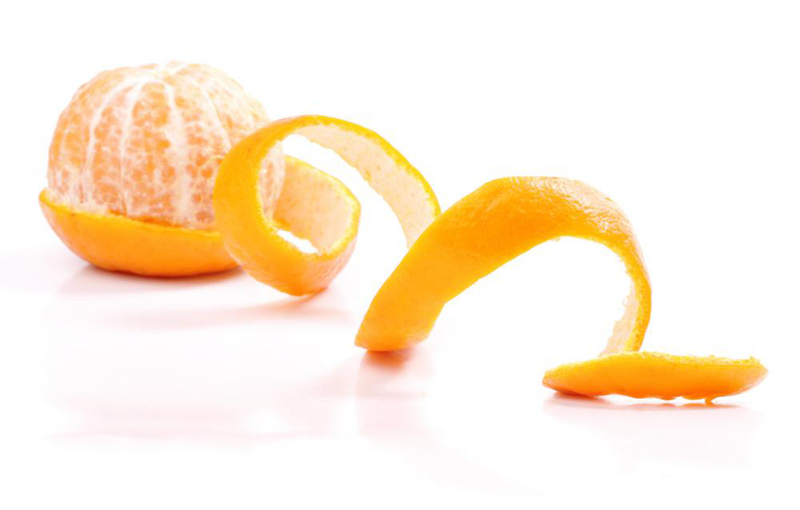 Orange peel means the rind of orange fruit. The orange fruit has slightly bumpy outer skin with some white pith under it. Orange peel has high content of flavonoids, phytochemicals, antioxidants along with vitamin B, A, C, calcium, copper and magnesium. 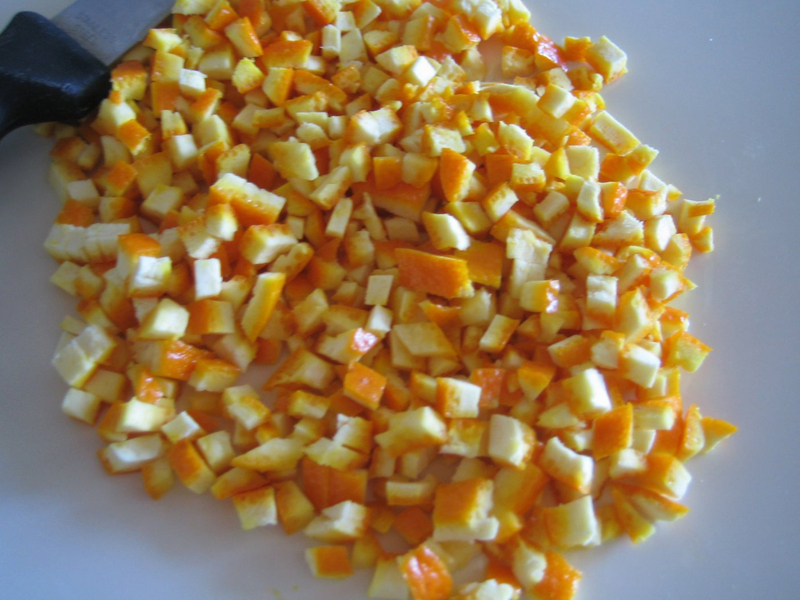 Orange peel contains high content of carbohydrates. Similar to all citrus fruits, it possesses polymethoxylated flavones. In order to achieve health benefits, one should not consume raw orange peels but could use it as a zest to beverages and foods. Peel provides anti-microbial and anti-bacterial properties which is helpful to treat oily and acne skin. It acts as a skin lightening agent and is able to clear pigmentation and marks on face. 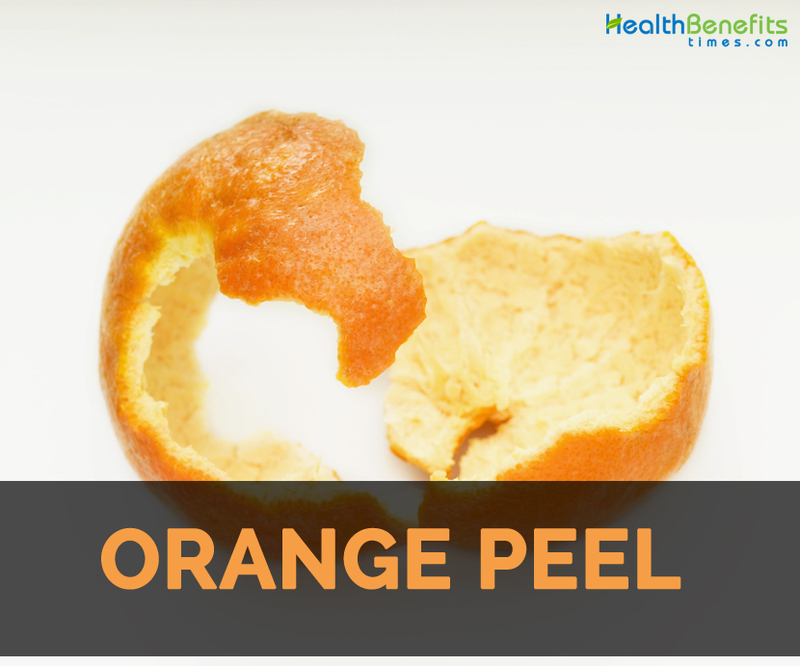 Besides medicinal uses, orange peels are used in face packs which could be used as face cleansers and keeps the skin refreshed. 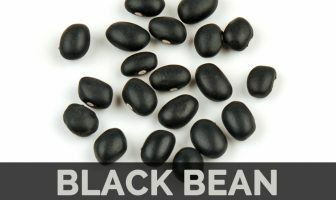 It is packed with flavonones which an antioxidant is lowering the damage caused by free radicals and oxidative stress. It does not have cholesterol, fat and sodium. Orange peels have high content of vitamin C and fiber along with flavonoids and phytonutrients. Orange peels are loaded with antioxidants and vitamin E. So applying peels on the skin directly helps to clear inflammatory conditions and also prevents age spots and wrinkles. High presence of Vitamin C lowers the appearance of marks and spots which are caused by premature aging. 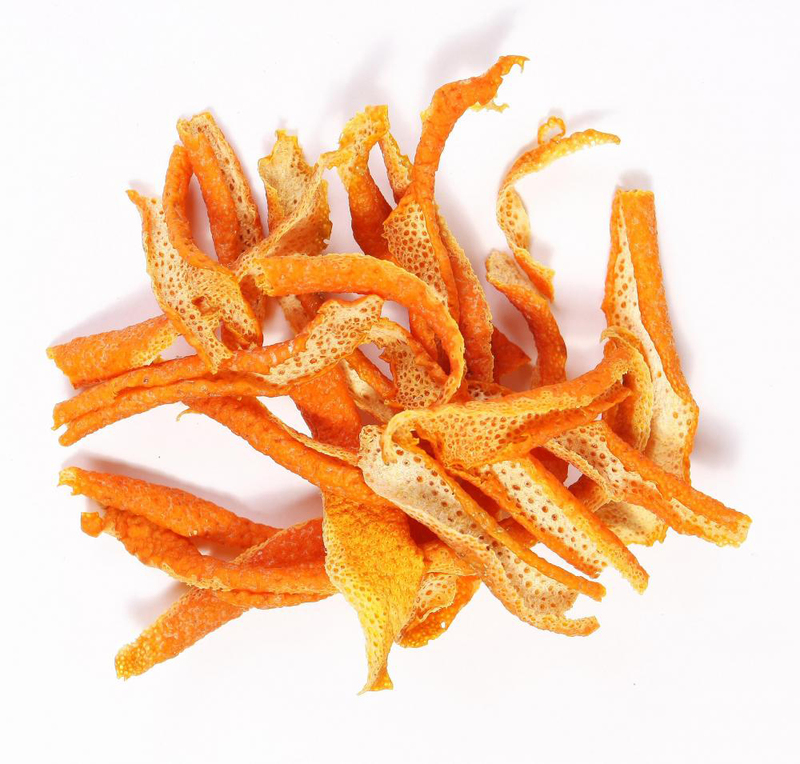 Orange peel extracts helps to clear spots caused by burns, exposure and toxins. It is helpful for pimples, blackheads and acne as it cleanses pores deeply. 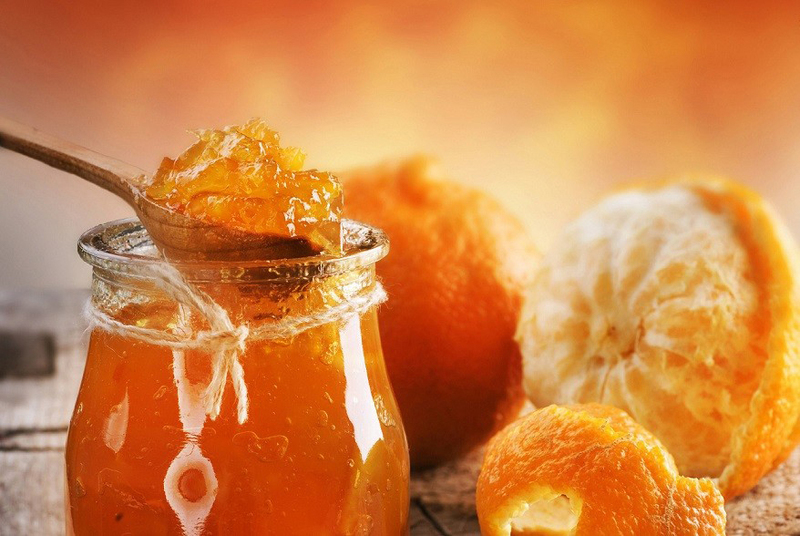 Orange peels have active compounds which provide regulatory effect on immune system. It suppresses allergic reactions and lower strain on body’s defenses. Orange peels have great amounts of fiber and different nutrients so when consumed; it promotes cardiovascular health by preventing the cholesterol buildup and lowering blood pressure. Orange peels contain flavonoids and phytochemicals which acts as a natural aid for people having uncontrolled cholesterol. Antioxidants help to clear arteries and prevent plaque formation which causes blood clots and blockages. It is helpful to maintain cardiovascular health. It lowers the chances of hypertension, strokes and heart attacks. The consumption of orange peel extract in powdered form or tea can soothe inflammation in respiratory tracts. Peels contain fiber that stimulates bowel function and also prevent constipation. The daily consumption promotes bowel movements and also promotes elimination of waste in colon. 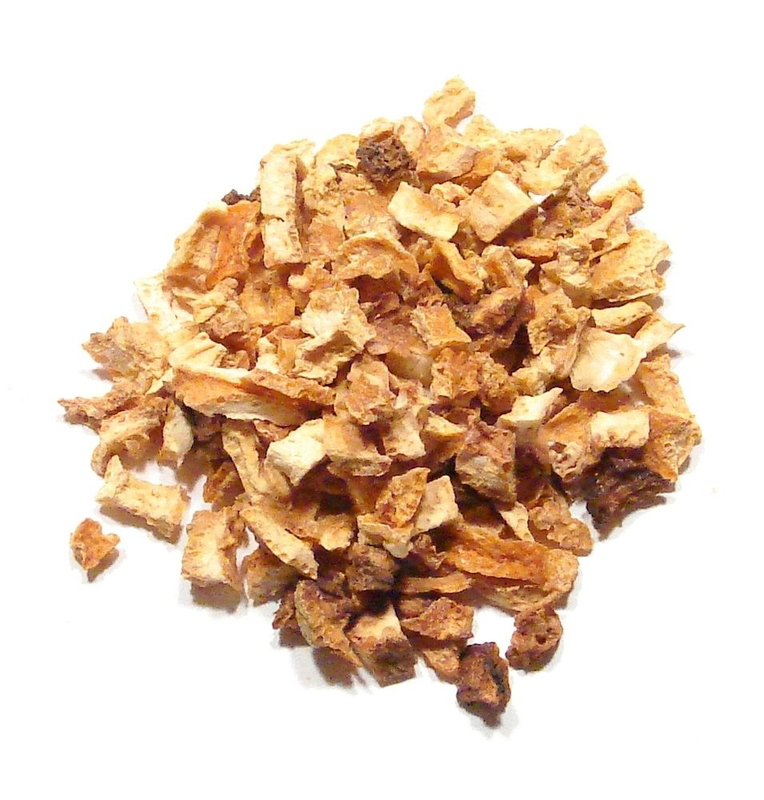 It prevents diarrhea, irritable bowel syndrome and inflammatory diseases. Peels has various antioxidants and vitamin C which enhance immune system and prevent various pathogens and infections responsible for causing flu and cold. Orange peels have flavonoids and limonene that possess anti-carcinogenic properties act as blocking agent. Study shows that limonene and limonin which promotes enzyme activity of glutathione S-transferase, an essential detoxifying enzyme. Limonene acts as a great solvent which carry waste out of cells and nutrients to them. Orange peels contain citric acid which abstain cancer cells by interrupting energy supply. Study have shown lower chances of cancers such as breast, skin and colon cancer associated with increase in consumption of orange peels. 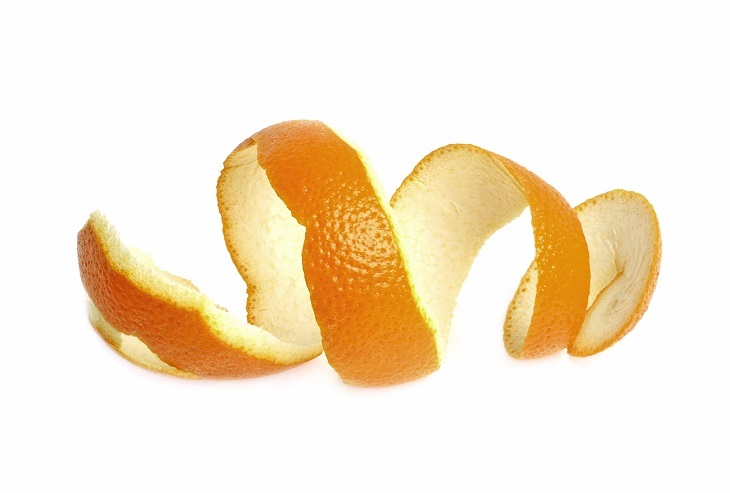 Chew orange peel to freshen breath, control bacteria and also avoid yellow spots on teeth. An essential oils and extracts acts as a protective barrier against harmful effect of infections and bacterial plaque related with it. People with sensitive teeth should chew orange peel. Apply the paste of orange peels to inner part of the teeth. 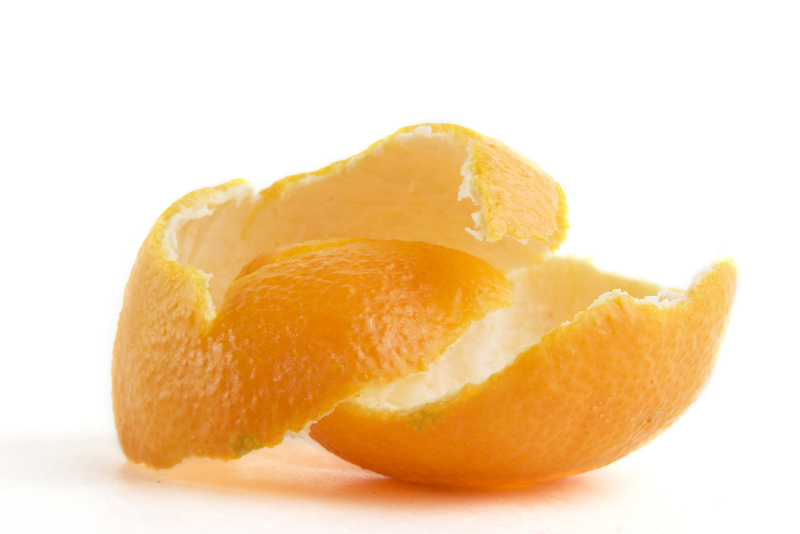 Orange peels are helpful for respiratory problems and allergies. Make a face pack with 2 tbsp of yogurt and 1 tbsp of orange peel powder. Apply it to the face and wash after 20 minutes to get fresh, clear and toned up tight looking skin. Make a paste with 1 tbsp. of orange powder, 1 tbsp. of sandalwood powder, 1. tbsp of walnut powder, 2 tbsp of rose water and 2 to 3 drops of lemon juice. Apply it to face for five minutes and wash it. It as an exfoliator. With 1 tbsp of multani mitti and 1 tbsp of orange peel powder, make a paste by adding rose water. Apply it to neck and face and wash when it becomes semi-dry. It helps to cleanse skin deeply and also pull out white heads and blackheads. To brighten skin, make a smooth paste by adding few drops of lime, 2 tbsp. 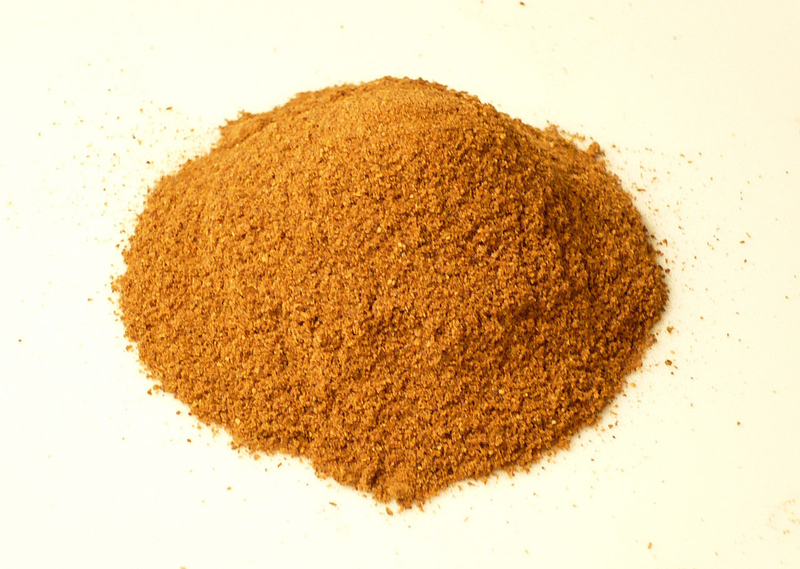 orange peel powder, tablespoon of each sandalwood powder and fuller’s earth. Apply it to face and after 30 minutes, rinse off. Use tea with an extract of orange peel to get soothing lung relief and decongestion. Make an air freshener by adding peels in boiling water. Inhale the steam or air to provide relief from headache. 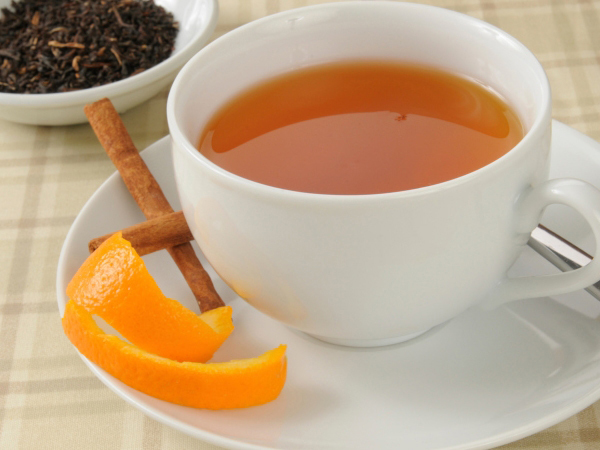 Use orange peel teas internally to stimulate appetite and help with stomach cramps. Make tea by boiling orange peels into a pot of water. Turn off heat and allow peels to soak for an hour. Strain water and the tea are ready. 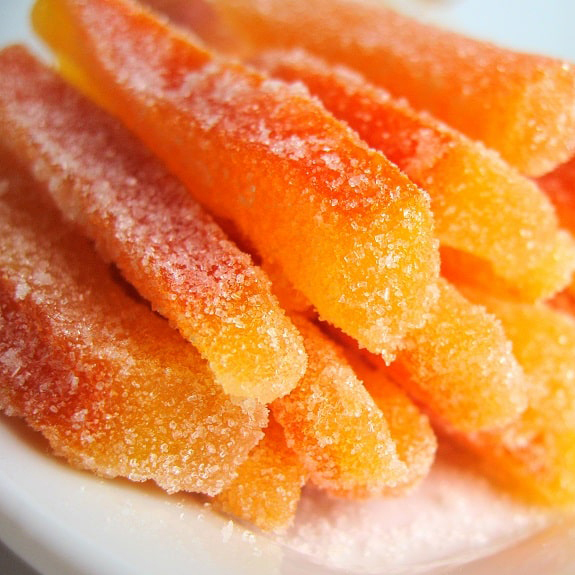 Make candies by cutting peels into ¼ strips and place it in a large saucepan. Boil it on high heat by covering it with cold water. Repeat this process twice after draining water. In another bowl, whisk ¾ cups of water and 1 ½ cups of sugar. To a saucepan, add this mixture and bring to a medium simmer. Cook by adding peels for an hour. Stir to prevent crystallization. Spread peels on a drying rack for five hours after draining syrup. Sprinkle it to ice cream, salad, smoothies, cereals, spaghetti sauce, noodles, sushi, rice, spaghetti sauce and fish dishes. It is used as an ingredient in desserts and smoothies. 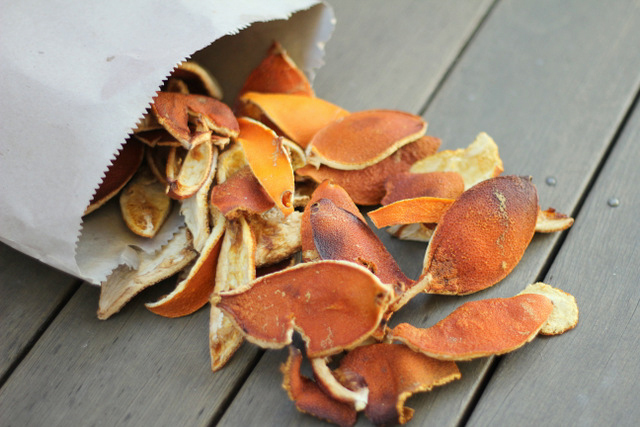 Use dried orange peels as seasonings for fruits and juice. Use it for pastry, cakes, crème and cocktails. Consume the peel after properly cleaning to avoid any herbicides or pesticides. Some people might experience side effects such as vision problems, headache and bodily weakness with the use of Orange peel. Calories in 1 tbsp (6 g) 6 Kcal. Calories 6 Kcal. Calories from Fat 0.09 Kcal.